Join us in our mission to provide services to remote rural locations. We greatly value our Roots Ethiopia team members, who are local people living in villages among the families and children our programs serve. Our footprint in rural Ethiopia is big, because the landscape of need is big. Thus, our team travels significant distances every day. Travel is hard. Getting from one village to another is time consuming and not cost effective; it requires a creative combination of buses, motorcycles, walking, and hitch-hiking. 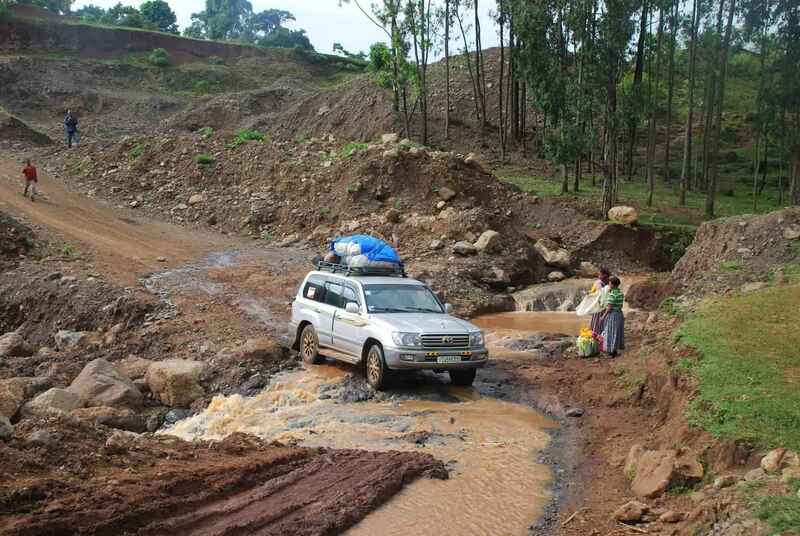 During the rainy season, access to many places is nearly impossible. Often times, communities with the most needs are very remote. Sadly, those who need our help the most sometimes get the least. But, there is a solution! Our Roots Ethiopia Rural Reach Initiative means we can change the barriers of access to remote, rural villages with a 4WD vehicle. A car will help us extend our mission, improve access and efficiency, help reach more families and children in remote areas, and respond to critical needs immediately. We can do this together! We have $10,000 remaining to raise. Let's get in gear. Please help us finish this campaign. All gifts of any size are meaningful! Love and trust Roots team. Your representatives are amazing, caring people. Thank you for the great work you do in my country! We are so happy to support your awesome work whenever we can. Thank you Meghan and Roots Ethiopia!